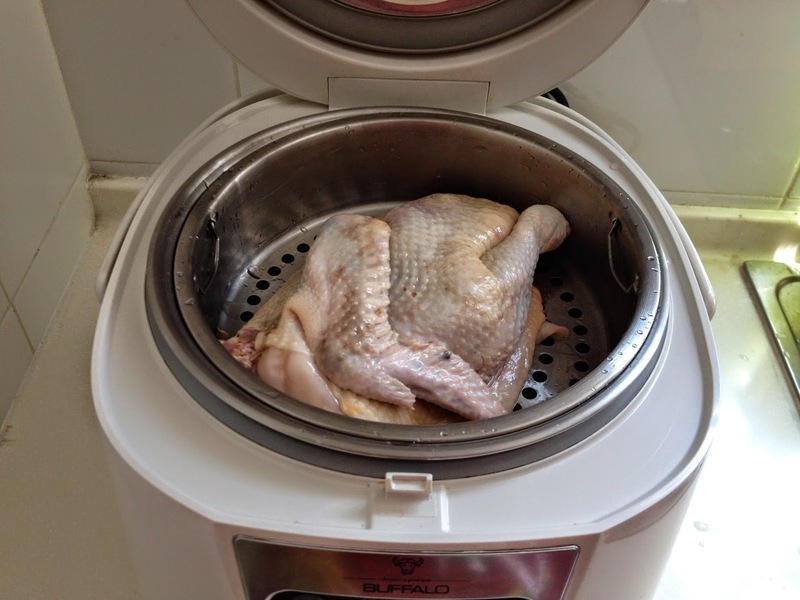 Marinate the chicken with salt and rice wine (cover with cling wrap) and store in the fridge for at least half an hour. 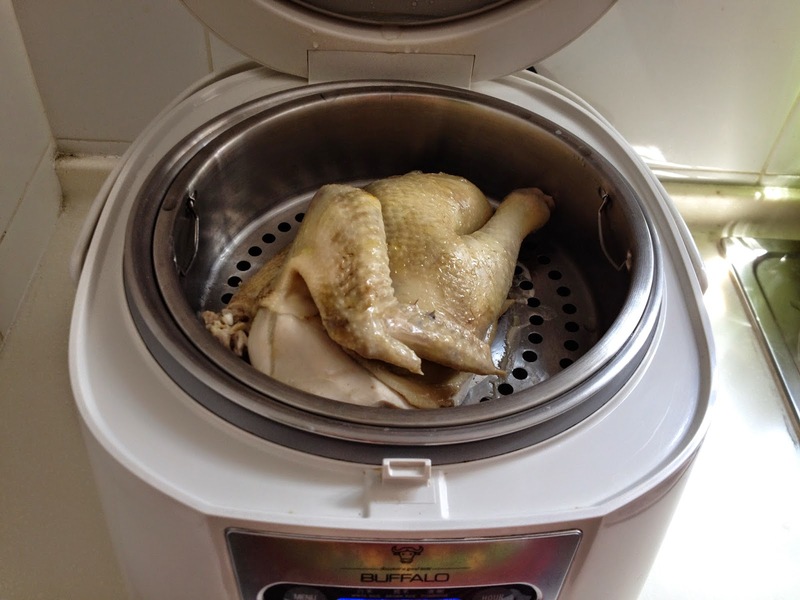 Using Smart Cooker: Use "rice" function, put all rice ingredients into the inner pot, place a steaming rack and put the marinated chicken onto it. 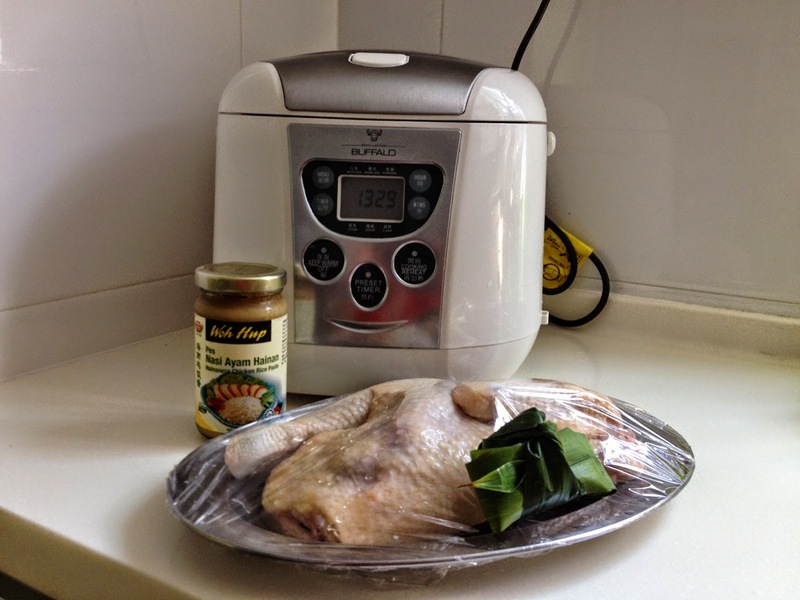 Hi Jozelyn, I have tried cooking Hainanese Chicken rice using butter and garlic. Very aromatic and a nice light yellowish colour. 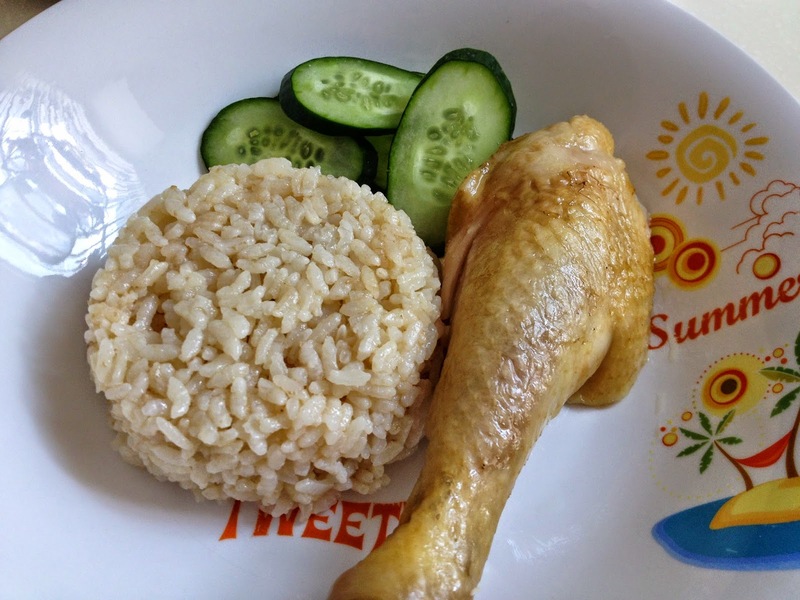 I prefer chicken rice with Pak Cham Kai than the roasted chicken. More fragrant. 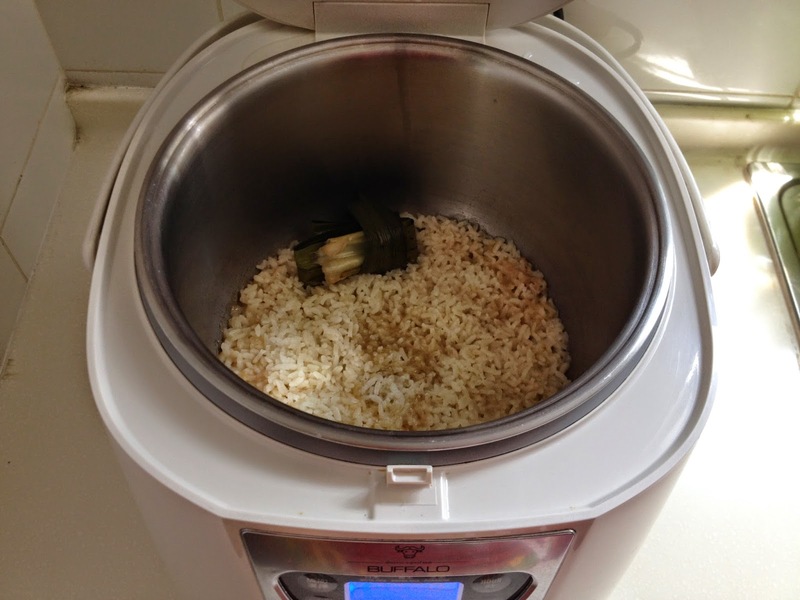 Yours is an easy way to enjoy yummy Chicken Rice at home. 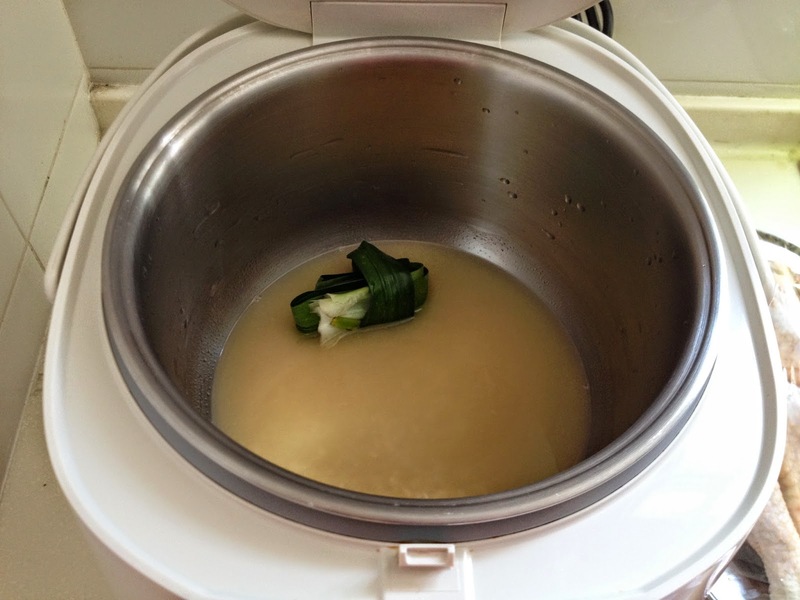 Hi, Kimmy, I am a "lazy" mum that always try to simplify my cooking by using premix, haha! 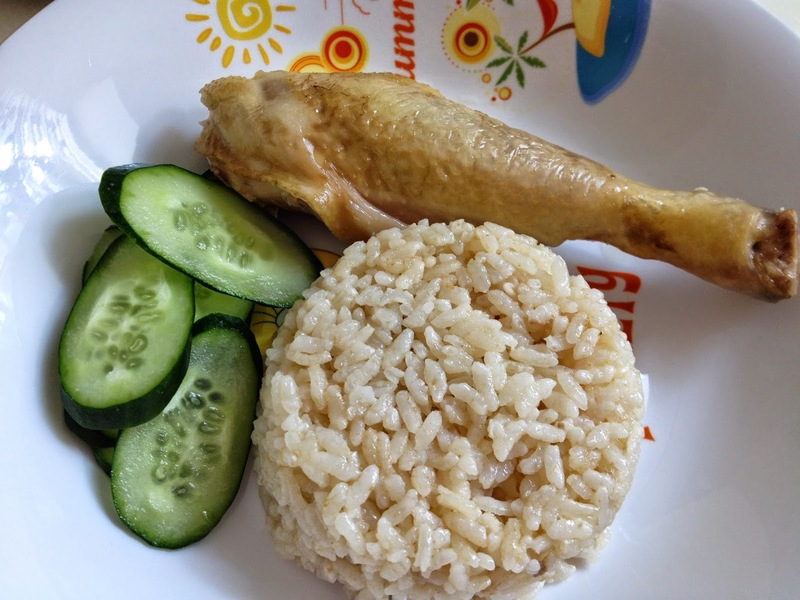 Hi Jozelyn, hmm yummy fragrance chicken rice! 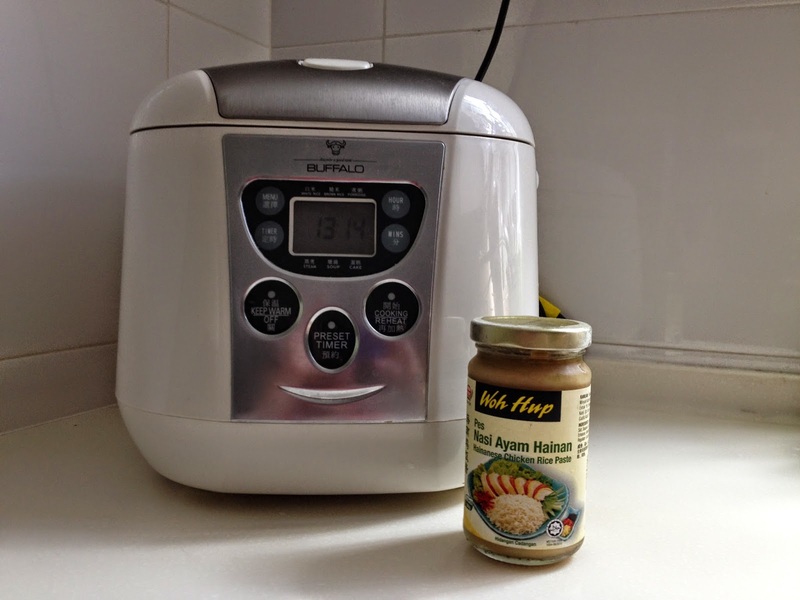 This is quick but yet still sound yummy!